Selah Hartman, a senior at Gridley High School took first place in the 2019 Butte County Office of Education Poetry Out Loud competition on February 11, 2019. Hartman will represent Butte County at the upcoming state finals which takes place in Sacramento on March 10-11. Grace Lynn Burks of Gridley High School received second place and Madison McCallough of Las Plumas High School received third place at the event. 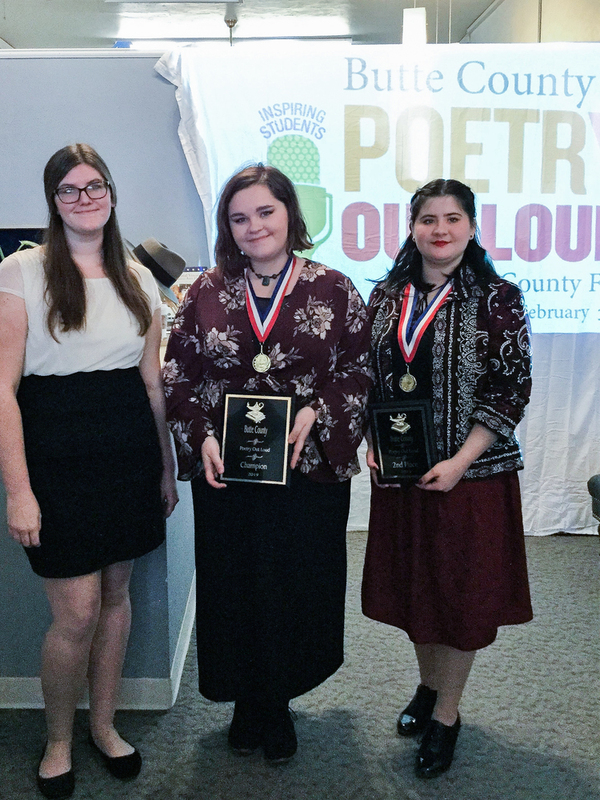 The Poetry Out Loud county competition was held at The Paint Locker Fine Art Gallery in Gridley, CA . The event was hosted by Butte County Office of Education in partnership with Friends of the Arts. 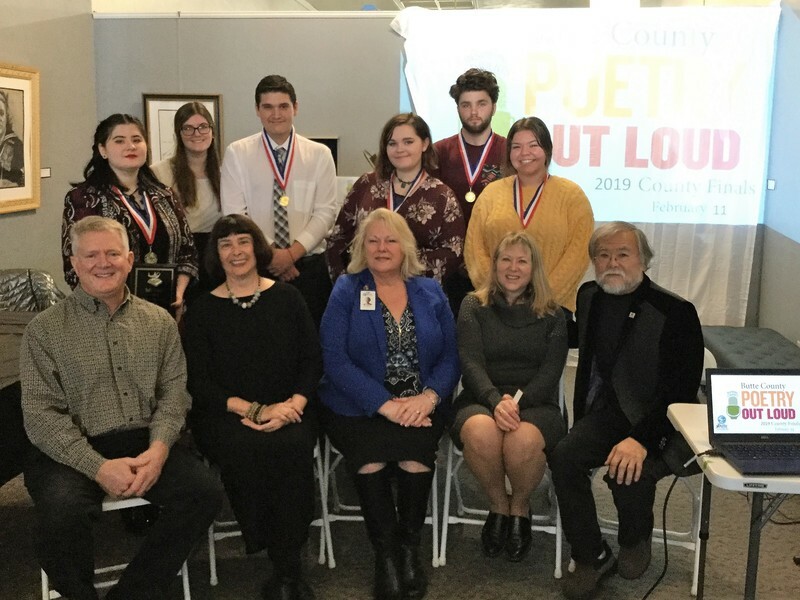 Representatives from several high schools competed in this year’s Butte County Poetry Out Loud Competition including Oroville High School, Las Plumas High School, and Gridley High School. The competition was judged by David Tamori, Maria Navarro, Jennifer Spangler and Neil Meyer. Refreshments were provided by Kaleidoscope Gridley Arts Council and Instrumental Music by local guitarist, Willie Knapp. “Selah did a beautiful job. She wowed the judges by reciting her selected poems with energy, emotion and passion. We are proud she will be representing Butte County at California State Finals,” said Mary Ellen Garrahy, Student Events Manager of Butte County Office of Education.